Bavarian Body Works uses a computerized paint color matching system for impeccable results. Unfortunately, not all body shops are equal when it comes to producing quality auto body repair. Rest assured, when you choose Bavarian Body Works, you are receiving the highest attention to detail and our guarantee on your body work. 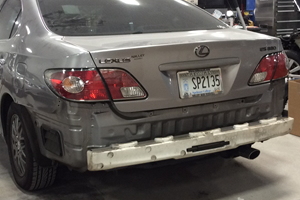 Our auto body repair shop is staffed by experienced auto body repair specialists, auto body painters, as well as seasoned collision auto body repair estimators. We work as a team to accurately assess the vehicle’s damage and coordinate the necessary repairs in order get you back on the road safely. 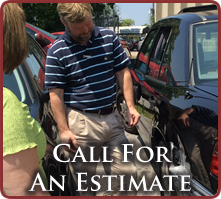 Our auto body repair estimators identify damage caused by an auto accident. Sometimes, this damage is not initially seen. Frame damage can occur beneath the auto body panels. Our attention to detail during the collision repair estimation process means that we detect whatever is necessary to bring your vehicle back to its pre-accident condition. Bavarian Body Works provides automotive painting as part of our overall collision and auto body repair services. Our automotive paint jobs will make your vehicle shine. We use a computerized paint color matching system, which means that we achieve very accurate paint matching on every automotive paint job that we perform. 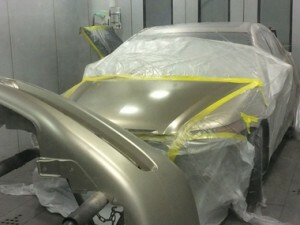 The state-of-the-art ventilation system in our auto painting spray booths help us achieve a mirror like finish. Our auto painting services include fixing scratches, auto paint touch-ups, as well as complete paint jobs to bring your vehicle back to its pre-accident condition. Contact us today to schedule a free automotive paint estimate. with their auto body and collision needs. your vehicle back on the road.